What car did you forget existed until you saw it in real life? Although most of us have been absorbing car knowledge since before we could read, sometimes certain models just slip from our imagination. Then, with a visual jolt, we're reminded. What car did you forget existed until you saw one on the street? I'm sure this happens less in the Northeast than in less corrosive regions, where outdated models continue to haunt the streets like earthbound spirits. 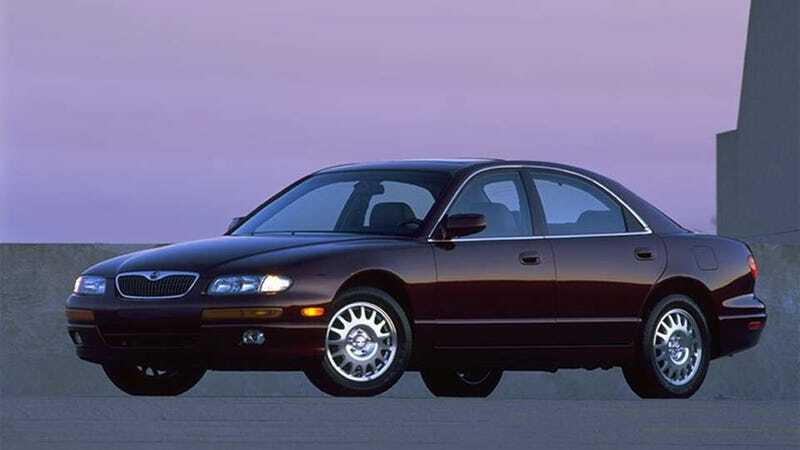 I'm going with the most eerie of these time travelers: the Mazda Millenia. Mazda had planned to launch a new luxury brand called Amati. It had gambled $500 million on plant upgrades and another $500 million, according to reports, subsidizing dealers and producing a marketing campaign. But plunging sales and a global recession put the kibosh on its plans. Thus, the car that was to be the first Amati model was launched under the Mazda banner. While the Millenia's predecessor was technically the Mazda 929, it was an all new model. It didn't sell well, and it didn't have a successor.